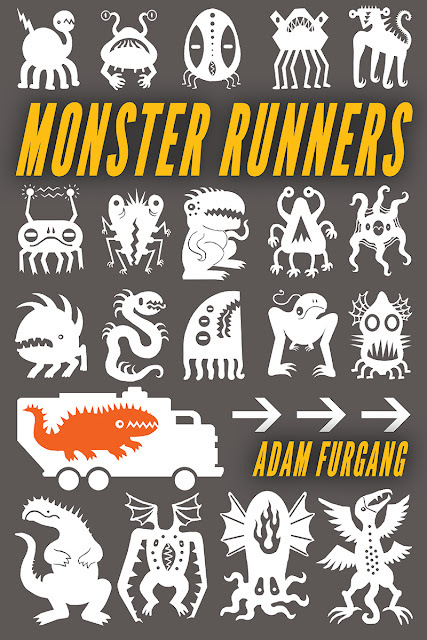 My latest upper middle grade novel, Monster Runners, is now available for sale on Amazon.com in print and Kindle. Enjoy! A Family Business of Monstrous Proportions! Twelve-year-old Griffin, and his older brother and dad are contractors for the Monster Runners department of the US government. They haul alien monsters across the country in a customized big rig trailer to a research facility outside Washington, D.C.
After they drop off their latest monster cargo, they learn about their next job. It will be the most challenging and dangerous of their career—delivering a volatile sun energy monster named GhostPepper. Ozone, leader of a rival monster running crew, has other plans in store for Griffin and his family. He wants to hijack the deadly alien creature for himself. Buckle up for a wild ride across the country! Please be respectful with all comments. This is just a hobby for me. All text © Adam Furgang 2013 - 2019. No copying or reprinting without permission. Simple theme. Powered by Blogger.